HostRocket is a US-based hosting service provider that offers world-class services to its customers. They started way back in 1999 and continued to provide excellent services. You can get SSD shared hosting, dedicated hosting, reseller VPS hosting, coalition, domains, and web design services from them. 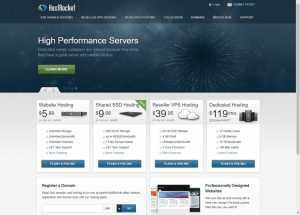 If you are looking for good shared hosting, then HostRocket is for you. They also do offer other affordable hosting services and can be used by freelancers, startups, and SMBs. You can reach support through the ticket system. They generally reply as soon as possible.